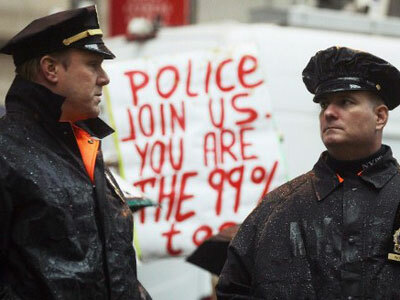 Hundreds of people have been arrested during clashes between police and Occupy Wall Street demonstrators in New York. 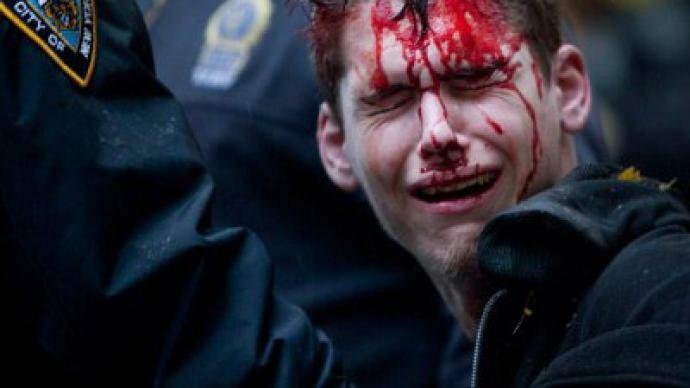 Some protesters were bloodied during arrests. 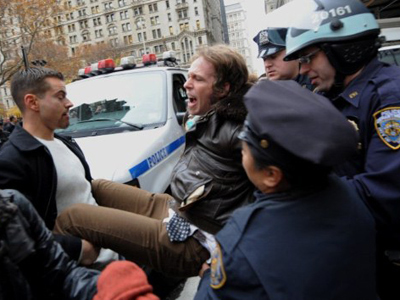 ­This man who identified himself as Brendan Watts was beaten to the ground by police officers in Zuccotti Park. According to reports he was injured and suffered a fractured skull after being hit with a baton to the head as police clashed with protesters. ­And it was not the only case of violence during 'Day of Action' protests in New York. Police were seen roughly dragging people from crowd, forcibly bringing them to the ground and handcuffing them. There were reports of journalists also being on the receiving end. RT's Lucy Kafanov was hit by NYPD officer on the arm with a baton. 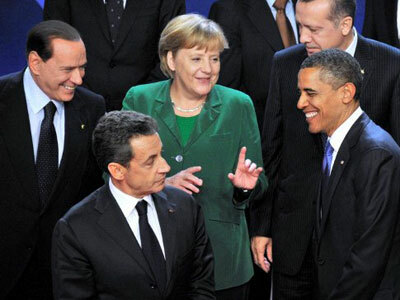 She witnessed a photographer being roughly shoved. 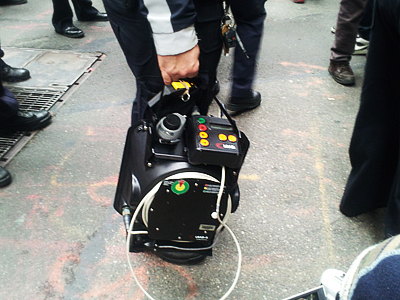 ­At first, OWS protesters were chanting "Put away the riot gear. I don't see no riot here" and '"This is a nonviolent protest". But when police went on with tough arrests – it was "Shame" and "This is what a police state looks like" chants all the way.